This free course teaches you the skill of writing in English as well as thinking critically for that purpose. Writing in English is a challenge that many Arab and second language speakers of English face. And recognizing that challenge, we have built this course specifically to help you develop your ideas in English. You would need this course if you are entering University or the job market and is struggling with writing essays, graduation projects, reports, giving presentations and sending emails for work. If any of these are the challenge you face, take this course and find out how it will help you progress. This course requires practice from your side to build your English writing skills. Through examples and exercises in English, you will be able to improve bit by bit your talent in writing in English. It also helps you develop your ideas and build logical arguments you can use in your daily life. -- Use critical thinking as well as creativity to produce an authentic essay, email, speech and presentation. -- Deal with the challenges you may face as a writer. -- Practice writing, drafting, revising, and rewriting to improve your writing skills. -- Have a greater understanding of how an argument is built that can be used in an academic setting and real life. You should have knowledge of the way English works, grammar, and some vocabulary to use in your writing. Dr. Mais Qutami is an Associate Professor of English who received the Outstanding Graduate Student Research Award for her dissertation and was awarded a teaching certificate to teach writing by Indiana university of Pennsylvania where she studied and worked. She has taught at various universities in USA, Jordan, Oman, and Qatar. She published several academic papers on American and Comparative literature, teaching, and feminist theory. Dr. Qutami has been frequently invited by universities in the USA to speak on issues relevant to postcolonial literature, Western perceptions, Arab Islamic Feminism, Arab American literature, veiling, and Muslim women's rights. She has presented her papers on literature and teaching English as a second language at multiple international conferences in America, United Kingdom, Canada, UAE, Morocco, and Oman. 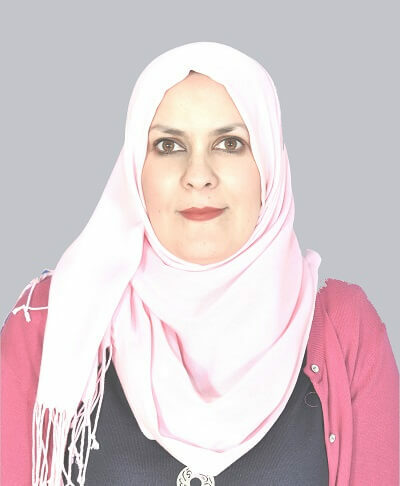 Dr. Suha Qutami is an Assistant Professor in English Literature. She works with Toronto District School Board as a Language Assessor and teaches English online. She has taught at Jordan University, Balqa University, Zarka University and others. She obtained her PhD from Jordan University in 2002. She has published several books along with other professors, such as “Effective Communication Skills” and “Introduction to Literature”. She is also the author of a series of children’s books like “Dino and the Bacteria”, “Dino at the Lake” among others. In addition, she published numerous papers in English. Currently, she resides in Toronto, Canada.